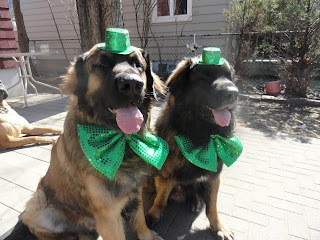 Events & Blog: Zanzibar and Chewee are ready fot the PARADE!!! Here is Zanzibar and Chewee ready for the St Patty's Day parade. We have a beautiful Day to march and eat corn beef and cabbage. One of Chewee's favorite meals.